Congressional candidate Bettina Rodriguez Aguilera (R) is probably hoping the stars will align for her bid to win a congressional seat in Florida’s 27th district. However, her quest may be complicated by interviews she gave light years ago, in which she claimed she was abducted by space aliens. The interviews in question date back as far as 2009 and they were conducted on Spanish-language TV. In the video exchanges, Aguilera delves into both cosmic and religious matters as she explains her alien encounters, which reportedly began at the age of seven. She describes her first visit aboard a spacecraft by saying, “I went in. There were some round seats that were there, and some quartz rocks that controlled the ship — not like airplanes.” She also explains that the aliens were not exactly little green men, bug-eyed or unearthly. Instead, she describes them as being tall, blond and dressed in party outfits. Currently, Aguilera is trailing in her race in a very crowded field. Her bid is also considered a longshot because she is running as a Republican in a district where Democrats traditionally hold an advantage. Some political observers believe that the old interviews she did claiming to be abducted — which were posted on Youtube a long time ago — have been unearthed by opponents seeking to discredit her candidacy. The center of the Earth’s energy is in Africa. A subterranean cave in Malta contains thousands of non-human (presumably alien) remains. Coral Castle (a limestone structure in Southern Florida) was at one time an ancient pyramid. Do you believe aliens are real? Would you vote for a candidate who claims they were abducted by space aliens? Please feel free to share your thoughts in the comments section below. 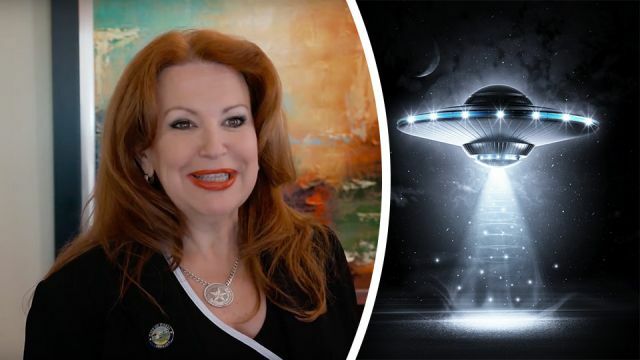 Hey Buddy!, I found this information for you: "Congressional Candidate Claims She Was Abducted By Aliens". Here is the website link: https://www.thealternativedaily.com/congressional-candidate-claims-she-was-abducted-by-aliens/. Thank you.